My absolute favorite restaurant is Lugang. Everything is delicious, it's the right price, and the staff are the best! I usually eat lunch there with my mom. 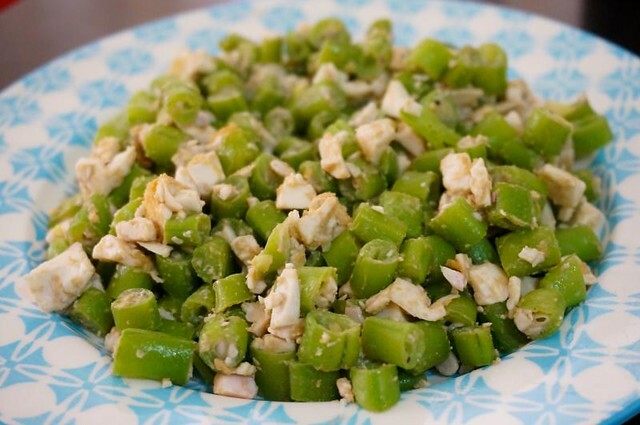 Now I already have my favorites, which is what I always order, but a couple of weeks ago I spotted something interesting on the menu - green beans and salted egg! I've never tried anything like it but it sounded yummy in my mind. I went ahead and ordered it. Oh, it was as good as it sounded, and ridiculously simple too. It was such an unexpected combination but it somehow works! 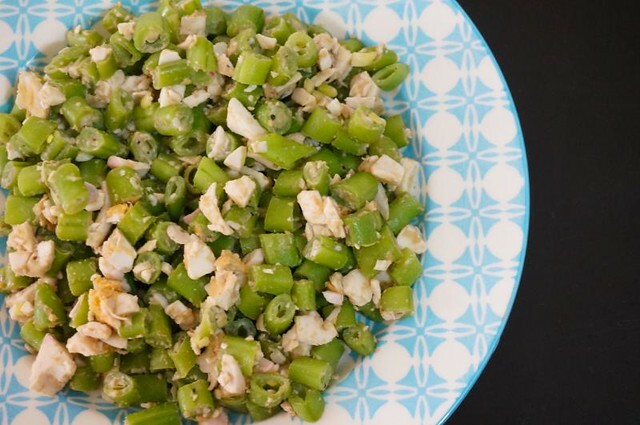 The crunch of the beans, the salty flavor of the chopped eggs - soooo yummy. Here's my version of my new Lugang favorite! 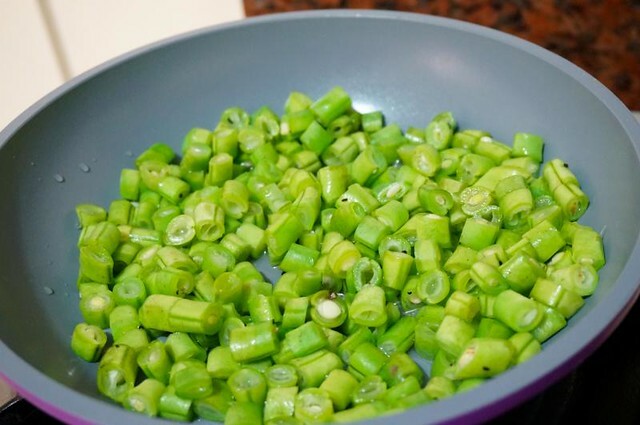 About 25-30 pieces of green beans, locally known as baguio beans. Chop em up! 1. Place the beans and the water in a hot pan. 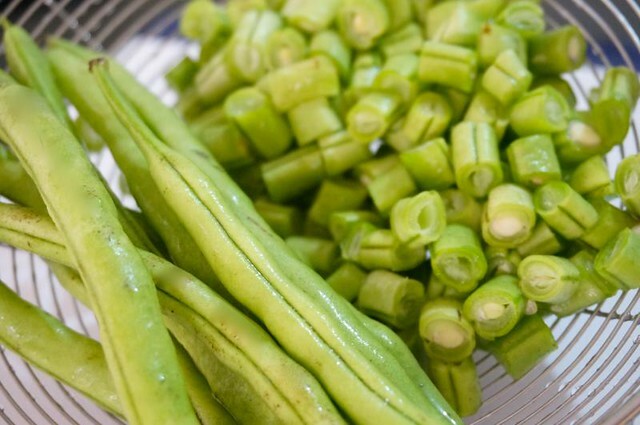 The beans will cook quickly - when they turn bright green, that's your signal! 2. 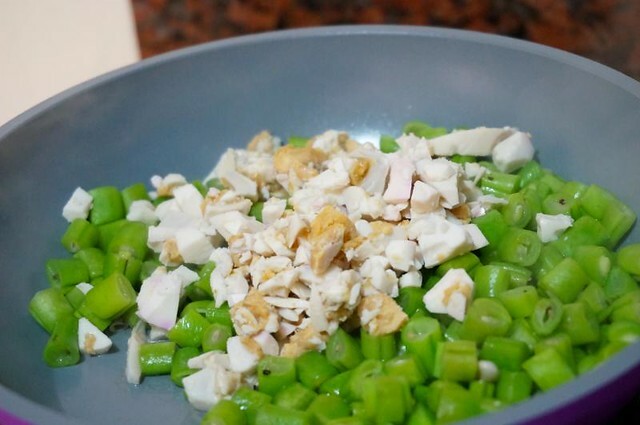 Wait for the water to evaporate first, then add the chopped salted egg. Stir together for about a minute or two, tops. And that is that. Super duper duper easy. 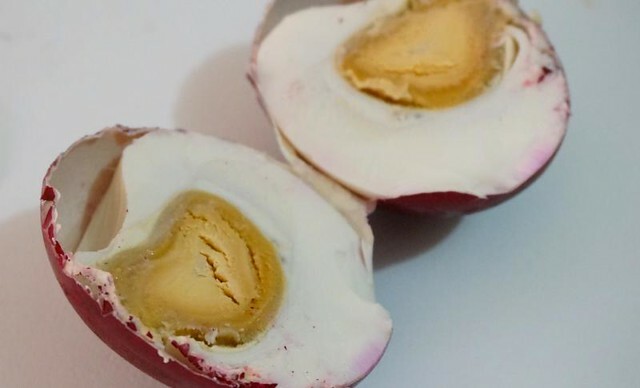 If you hate peeling red egg, just cut it in half then scoop out the stuff. ;) This should take you less than 10 minutes to prepare and cook, all in all! The thing you just have to be careful about is overcooking the beans. Keep and eye on them and don't leave them cooking too long, especially after you've added the egg. If you like less of the egg, you can just add half of it or increase the number of beans. 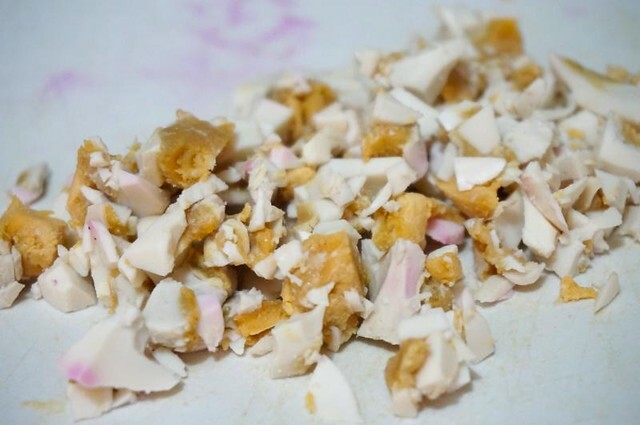 Lugang's version is much less egg-y than mine but since I'm a HUGE fan of salted egg, I added a more generous amount.